An assumption is the act of taking something for granted or supposing. In a project sense, an assumption is something we establish as true for the purposes of allowing us to proceed with our project work, usually during the planning and estimating phase. Assumptions enable the project to move forward without absolutely certain information. For example, when performing the project planning we might assume that at a certain point in time we have access to 10 resources, even though at the early planning stage we’re not actually sure where we’re going to get these resources from. What Happens when an Assumption is wrong? In a general sense we can say that if an assumption turns out to be true, then the project benefits (or at least doesn’t suffer). If an assumption turns out to be false, then the project will suffer. Another danger specific to assumptions is that they become the accepted wisdom. For example, before Copernicus discovered the Earth rotated around the sun, it was the accepted wisdom that the universe rotated around the Earth. Because this assumption had been the accepted wisdom for such a long time, it wasn’t until Galileo, some 100 years later, that the idea of the earth rotating around the sun became the accepted wisdom. 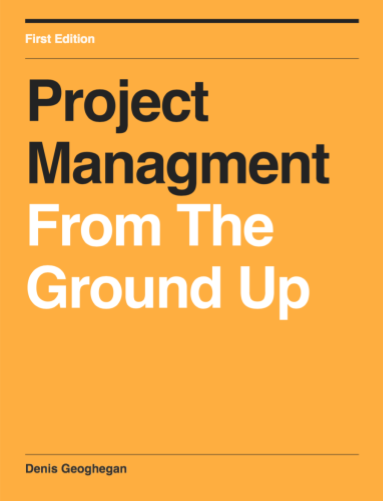 Because assumptions have the potential to impact projects negitively, it is our responsibility as project managers to monitor and manage them. We stop assumptions becoming the accepted wisdom by Monitoring them. We limit the impact false assumptions will have on our project by Managing them. The main difference between an assumption and a risk is that when we make an assumption, we expect that assumption will happen. If the assumption doesn’t happen then the project is negatively affected. With a risk we anticipate that the risk might happen and thus negatively impact our project. If the risk doesn’t materialize then the project will benefit. So in affect we can think of assumptions as almost being the opposite of risks (assumption happens = project ok versus risk happens = project not ok). We can monitor assumptions simply by regularly reviewing them with our project team. In these reviews you should ensure that actions are given to follow up any questions arising, and that these actions are tracked. By doing this we reduce the likelihood of an assumption becoming the accepted wisdom. To manage assumptions we can actually use the Risk Management Process. Here we simply ask what would it mean to the project if the assumption turned out to be false. By asking “what would it mean” we are understanding the impact if the assumption was false. By asking “if the assumption turned out to be false” we are gaining an understanding of the probability of the assumption being false. Now that we have an assessment of impact and probability for the assumption being false, we can record that in the risk register as a risk, and use the risk management process to keep track of it. In project management we make assumptions to enable us to get on with our project when otherwise the project would come to a halt. However, assumptions can turn out to be false, and when this happens our project can be negatively impacted. For this reason it’s important to actively monitor and manage assumptions to minimise any adverse impacts. We monitor assumptions with the project team, and manage them using the risk management process. Thanks for the comment – that makes sense. The point I was making was that assumptions aren’t “set and forget”, we need to check them regularly as active PMs. I disagree, an assumption is a risk. In fact creating a list of assumptions is an excellent way to start your risk analysis. Every Assumption and Constraint on a project or program has an impact. If I assume I have access to a particular resource, then the risk is I don’t. Assumption to Risk to mitigation of that risk.